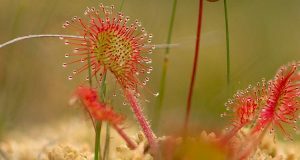 Home / Local News Stories / Childrens summer clubs/events in Ferbane and local areas. 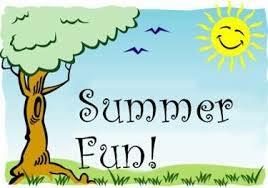 Childrens summer clubs/events in Ferbane and local areas. 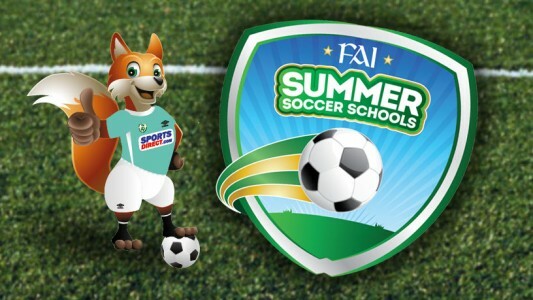 FAI Summer Soccer School at Gallen Utd grounds 4th to 8th July. Book online summersoccerschools.ie. Local coordinator Robbie Campbell 087 6700882. BRIGHT BEGINNINGS SUMMER CAMP – for children aged 4-7; M-F 10am-2.30pm; July week fully booked, there are places for August 8th-12th, 2016. Cost €55 (there is a sibling discount). Places are on a first come first serve basis. Children can enjoy activities e.g. 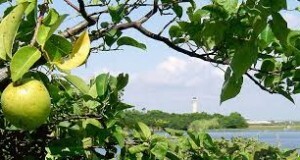 cooking, baking, arts and crafts, outdoor games and picnics. If you are interested please contact us on 090 6453777 or email brightbeginningsferbane@yahoo.ie for more details. Also currently enrolling for Free Preschool Year September 2016 . 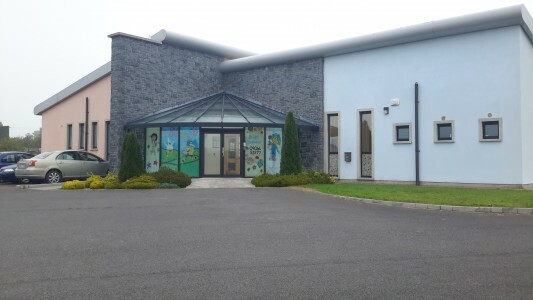 CHILDREN’S EVENTS AT FERBANE LIBRARY – Thursday 7th July: Storytime / Teddy Bear’s Picnic at 6pm. Bring your teddy. All are welcome. Saturday 9th: Crafts with Sandra for 6-8yrs at 11am. Booking essential. Thursday 14th: Reach for the Stars children’s talent show, can you sing a song, play an instrument, tell jokes, dance? Please come and join us. 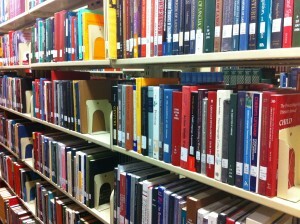 Saturday 16th: Book Club at 10.30am. Every Friday afternoon Star Zone colouring, puzzles etc. Ages 6 -12. Belmont 4th-8th July, Ballinahown 11th-15th, Ferbane 18th-22nd, Banagher 25th-29th. 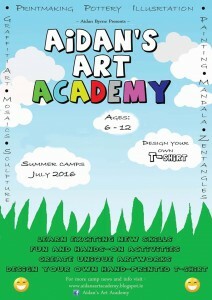 Call Aidan Byrne 087 137 5415. or emailAidansartacademy@gmail.com for more information. 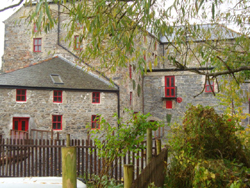 CHILDREN’S ART & POTTERY SUMMER CAMP AT BELMONT MILL – Children will get to hand make and decorate pottery. Other activities include drawing, painting with a party and talent competition and party on the final day. Dates: July 4th-8th; 11th-15th; 18th-22nd; 25th-29th. Ages: 4+. Time: 10am-12.30pm/2-4.30pm. Cost: €55 per child with family discounts available. Contact Jennifer 087 7991866 or jennycomber@eircom.net.